Purpura. 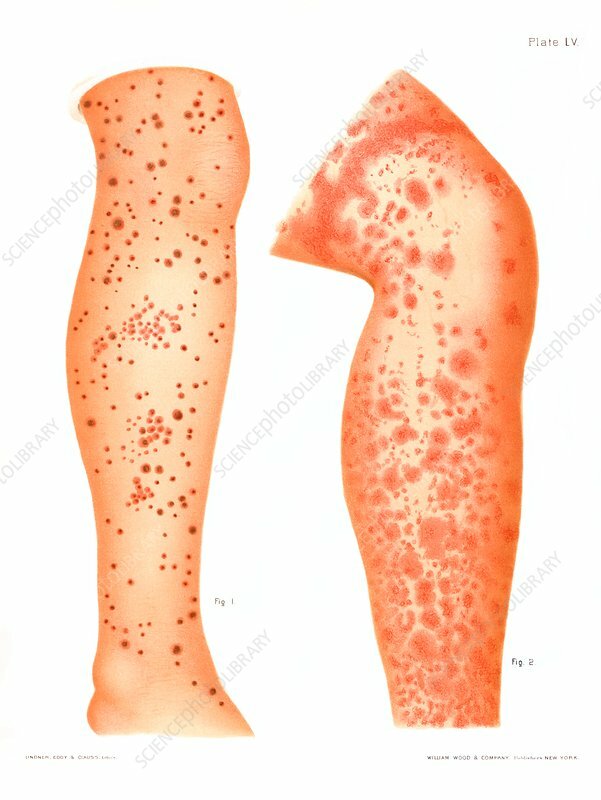 Historical medical illustration of skin rash in purpura simplex (left) and purpura thrombotica (right). Purpura refers to a rash of purplish spots (petechiae) on the skin caused by internal bleeding from small blood vessels, without known trauma. From Atlas of Venereal and Skin Diseases by Prince Albert Morrow, published in 1889.